Most people who go online have mainly positive experiences. But, like any endeavor – going outside, cooking, or attending school – there are some risks. The online world, like the rest of society, is made up of a wide array of people. Most are decent and respectful, but some may be rude, obnoxious, insulting, or even mean and exploitative. Children get a lot of benefit from being online, but they can also be targets of crime and exploitation in this as in any other environment. Trusting, curious, and anxious to explore this new world and the relationships it brings, children need parental supervision and common-sense advice on how to be sure that their experiences in “cyberspace” are happy, healthy, and productive. Although there have been some highly publicized cases of abuse involving the Internet and online services, reported cases are relatively infrequent. Of course, like most crimes against children, many cases go unreported, especially if the child is engaged in an activity that he or she does not want to discuss with a parent. The fact that crimes are being committed online, however, is not a reason to avoid using these services. To tell children to stop using these services would be like telling them to forgo attending school because students are sometimes victimized there. A better strategy would be to instruct children about both the benefits and dangers of cyberspace and for them to learn how to be “street smart” in order to better safeguard themselves in any potentially dangerous situation. Exposure to Inappropriate Material – One risk is that a child may be exposed to inappropriate material that is sexual, hateful, or violent in nature, or encourages activities that are dangerous or illegal. Physical Molestation – Another risk is that, while online, a child might provide information or arrange an encounter that could risk his or her safety or the safety of other family members. In a few cases, pedophiles have used email, forums, and chat areas to gain a child’s confidence and then arrange a face-to-face meeting. Harassment – A third risk is that a child might encounter email or chat/forum messages that are harassing, demeaning, or belligerent. Legal and Financial – There is also the risk that a child could do something that has negative legal or financial consequences such as giving out a parent’s credit card number or doing something that violates another person’s rights. Legal issues aside, children should be taught good “netiquette” which means to avoid being rude, mean, or inconsiderate. While children need a certain amount of privacy, they also need parental involvement and supervision in their daily lives. The same general parenting skills that apply to the “real world” also apply while online. Be sure to install a powerful security system on your computer such as Norton Internet Security, and keep it up to date. This will protect your computer from viruses, intrusions by hackers, spyware, spam, privacy threats, nasty pop-ups and even allow you to limit the sites your children can access. 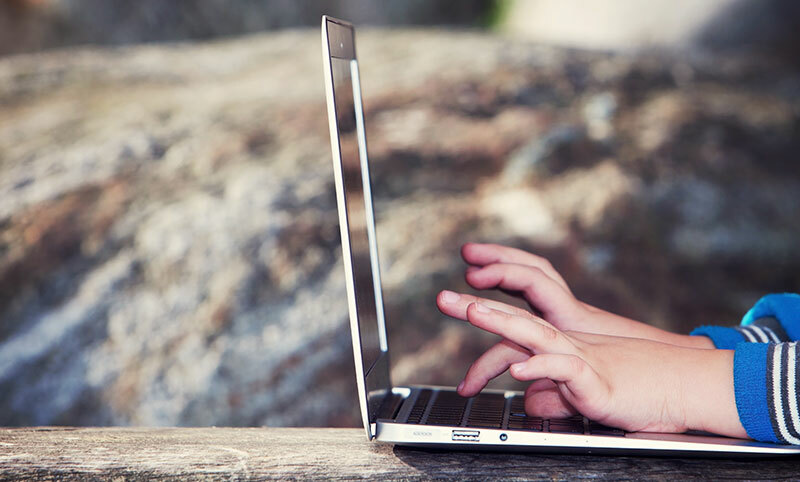 If you have cause for concern about your children’s online activities, talk to them. Also seek out the advice and counsel of teachers, librarians, and other Internet and online service users in your area. Open communication with your children, utilization of such computer resources, and getting online yourself will help you obtain the full benefits of these systems and alert you to any potential problem that may occur with their use. If your child tells you about an upsetting person or thing encountered while online, don’t blame your child but help him or her avoid problems in the future. Remember – how you respond will determine whether they confide in you the next time they encounter a problem and how they learn to deal with problems on their own. Remember that most “search engines” do not, by default, filter out material that might be inappropriate for children, but some offer a child-safe option and some are designed specifically for use by children. 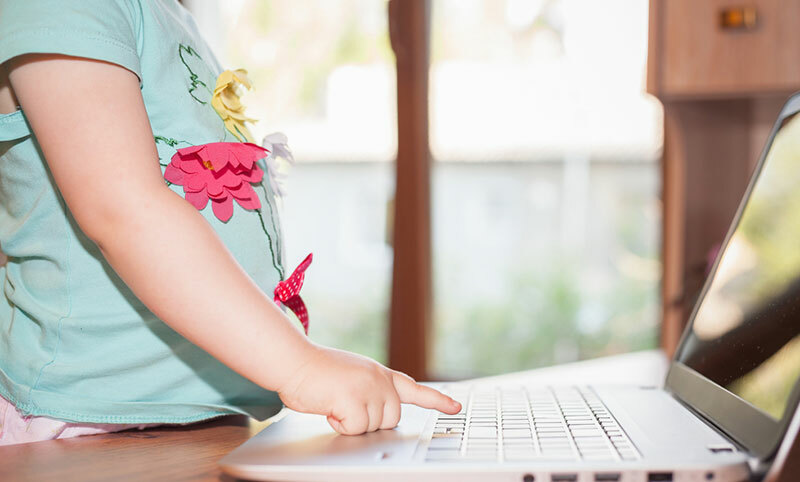 Some online services and ISPs allow parents to limit their children’s access to certain services and features such as adult-oriented web sites and “chat” rooms and bulletin boards. There may be an area set aside just for kids where you don’t have to worry about them stumbling onto inappropriate material or getting into an unsupervised chat. At the very least, keep track of any files your children download to the computer, consider sharing an email account with your children to oversee their mail, and consider joining your children when they are in private chat areas. The best way to assure that your children are having positive online experiences is to stay in touch with what they are doing. One way to do this is to spend time with your children while they’re online. Have them show you what they do, and ask them to teach you how to use the Internet or online service. You might be surprised at how much you can learn from your kids. Never give out identifying information – home address, school name, or telephone number – in a public message such as chat or bulletin boards (newsgroup), and be sure you’re dealing with someone that both you and your child know and trust before giving out this information via email. Think carefully before revealing any personal information such as age, marital status, or financial information. Do not post photographs of your children on web sites or newsgroups that are available to the public. Consider using a pseudonym, avoid listing your child’s name and email address in any public directories and profiles, and find out about your ISP’s privacy policies and exercise your options for how your personal information may be used. Get to know the Internet and any services your child uses. If you don’t know how to log on, get your child to show you. Have your child show you what he or she does online, and become familiar with all the things that you can do online. Never respond to messages or bulletin board items that are suggestive, obscene, belligerent, threatening, or make you feel uncomfortable. Encourage your children to tell you if they encounter such messages. If you or your child receives a message that is harassing, of a sexual nature, or threatening, forward a copy of the message to your ISP, and ask for their assistance. Instruct your child not to click on any links that are contained in email from persons they don’t know. Such links could lead to sexually explicit or otherwise inappropriate web sites. Remember that people online may not be who they seem. Because you can’t see or even hear the person it would be easy for someone to misrepresent him- or herself. Thus, someone indicating that “she” is a “12-year-old girl” could in reality be a 40-year-old man. Remember that everything you read online may not be true. Any offer that’s “too good to be true” probably is. Be very careful about any offers that involve you coming to a meeting, having someone visit your house, or sending money or credit card information. Remember to monitor your children’s compliance with these rules, especially when it comes to the amount of time your children spend on the computer. A child’s excessive use of online services or the Internet, especially late at night, may be a clue that there is a potential problem. Remember that personal computers and online services should not be used as electronic babysitters. Be sure to make this a family activity. Consider keeping the computer in a family room rather than the child’s bedroom. Get to know their “online friends” just as you get to know all of their other friends. Print and post the following rules that will guide your children’s computer and online use.